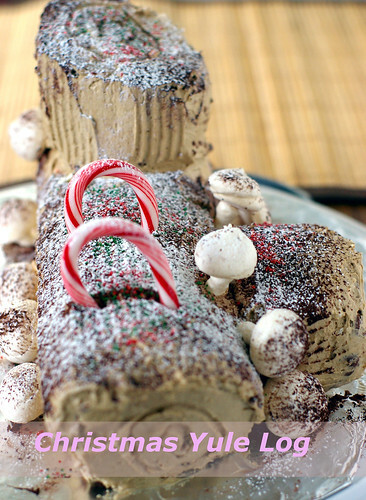 I am excited when I knew that we are making Yule Log for our December Daring Baker challenge.I have been toying with the idea of making one for Christmas since November but just isn't sure if I will have the determination to follow through. 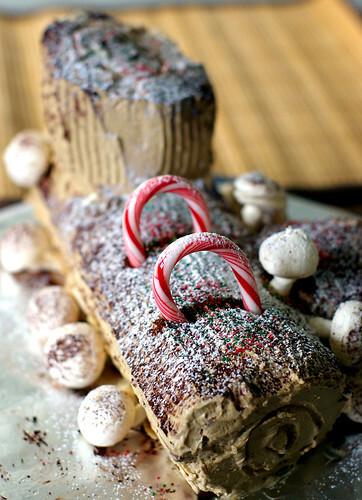 Since our hosts Ivonne and Lis have chosen Yule Log as our December challenge, I have no reason not to make it this year! After much procastination, I made my yule log last Monday for OCT department Christmas party on the next day. Initially I was planning to play around with the filling, but I love coffee flavor so much that I decided to just stick with the coffee buttercream as filling and frosting. I added Kahlua in the buttercream instead of brandy, which the recipe suggested. I also added a thin layer of Nutella in the filling to make it extra decadent. That was the creativity I have left after many rounds of cookie recipes testing. The Yule Log was well received at the party and I wished I brought my camera along. 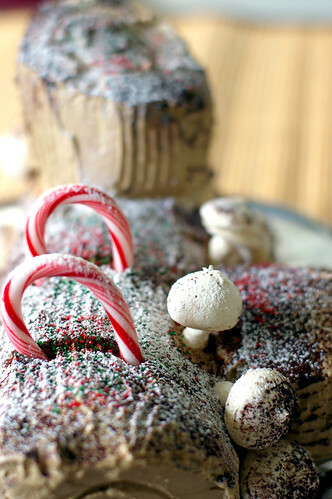 The meringue mushrooms piqued the interest of a few children in the party and they are intrigued by its appearance and "melt in the mouth" texture. The Yule log is a fun and rewarding challenge and I can't wait to meet the other 400+ yule logs. 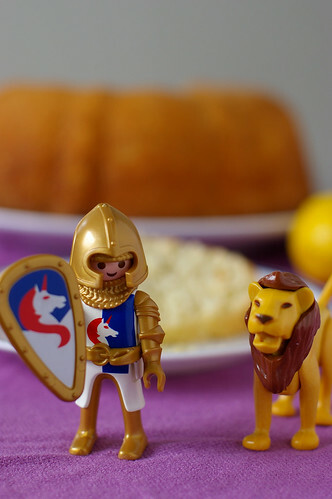 Be sure to check out the Daring Bakers Blogroll to see other beautiful creations my fellow Daring Bakers come up with! Maybe you will get inspired to make one for Christmas too. I wish I could tell you more about this month challenge, but time is of the essence around here. There's a cheesecake baking in the oven and many cookies that needed to be decorated and packed for our party tomorrow. OCT is helping me pack some of the cookies while I sneak out to blog here. I should have started the cookies baking earlier. Maybe I will start in October next year.Or maybe June, given my snail-like speed. Are you done with your Christmas cookies yet? I hope your answer is no. Because I haven't either. Although I have baked some cookies earlier to send to a special friend, and test baked a few batches of various recipes to see if they were good. I haven't really make any progress on the actual cookies I am going to give away yet! What a procastinator I am. Luckily for me, all the new recipes I tried so far have turned out pretty well, and I know I will be proud to give them away. 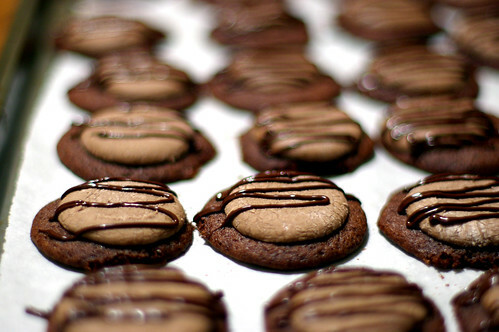 Among them are these "Nutella Two Tone Cookies". The inspiration comes from the December issue of Bon Appetit magazine. When I saw the chocolate rolled out cookies recipe, I liked it immediately. Because it incorporated melted chocolate in the dough.Yum! To make it extra special, I decided on a two tone cookies theme, using the chocolate rolled out cookies recipe and the vanilla rolled out cookies from the same issue. The filling will be Nutella, my favorite chocolate hazelnut spread. Voila, there you have it, another cookie recipe for the cookies tray. 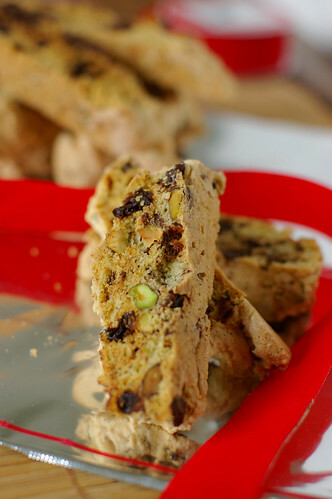 Another type of cookies, which is a must for me, is biscotti. I recently found a new recipe that I really enjoy on Nicole's blog-Baking Bites. She named the biscotti- Cherry Garcia, after one of Ben & Jerry famous ice cream flavor. I added a handful of chopped pistachio to the dough for color, and the test batch was sent off to a far away destination. Another batch of these biscottis have just came out from the oven. In my opinion, Nicole's Cherry Garcia tastes so much better than the B&J's ice cream itself. Now I am debating if they should be given away, or I could save them for myself! Bake and cool the cookies as instructed. Sandwich a thick layer of Nutella in between the cookies. Using electric mixer, beat butter in large bowl at medium speed until smooth and creamy, about 2 minutes. Add sugar and salt and beat until pale and fluffy, about 2 minutes. Add egg; beat until well blended, about 1 minute. Reduce speed to low and beat in vanilla. Add flour and beat on low speed just to blend. Gather dough into ball; divide in half. Form each half into ball and flatten into disk. Wrap disks separately in plastic and chill until firm, at least 4 hours. DO AHEAD: Can be made 2days ahead. Keep chilled. Position rack in center of oven; preheat to 350°F. Line 2 baking sheets with parchment paper. Working with 1 disk at a time, roll out dough between 2 sheets of waxed paper to 1/8-inch thickness for smaller (2-inch) cookies and 1/4-inch thickness for larger (3- to 4-inch) cookies. Using decorative cookie cutters, cut out cookies and transfer to prepared sheets, spacing 1 inch apart. If cookies become too soft to transfer to baking sheets, place in freezer on waxed paper for 5 minutes before continuing. 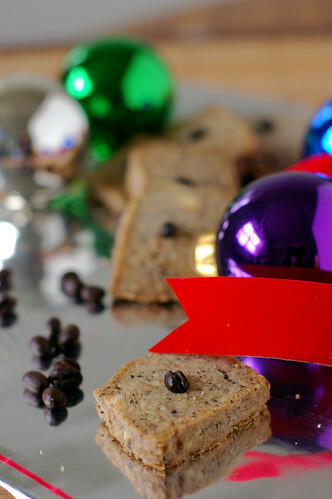 Gather scraps, roll out dough, and cut more cookies, repeating until all dough is used. If not icing cookies, decorate with sprinkles or other sugar toppings, if desired. Bake 1 sheet at a time until cookies are firm on top and golden around edges, about 10 minutes for smaller cookies and up to 14 minutes for larger cookies. Cool completely on rack. In a large bowl, beat eggs, adding sugar gradually, at medium speed until smooth and fluffy, 2-3 minutes. At low speed or by hand, stir in flour mixture followed by cherries, pistachio and chocolate. I was talking with OCT yesterday about our Christmas cookies project. I suggested that he bakes and decorates a batch of cookies we intend to give away. The scientist who works so efficiently on complicated zillion steps experiments gave me the excuse that it is too tough! And guys are not good at making cookies, etc. Excuses, excuses. When I first saw it on Joe's blog: Culinary in the Country , I know I wanted to make it. Not only does the cookies look irresistible, it is also a good use for the long forgotten Godiva Milk Chocolate Cocoa mix I have somewhere in the carbinet. And to be perfectly honest, I find it too sweet to my taste. Great, the Cocoa mix has a better place to go than into the bin! Win-win situation. In my opinion, what makes these cookies special, are the marshmallows and chocolate drizzle on top. I like the nice contrast of crisp cookies and soft marshmallow, sweetness from the cookies and marshmallow, and the bitterness from 72% melted chocolate. The flavor is balanced in an interesting way. It takes slightly more time than the usual drop or slice cookies, as you have to bake the cookies half way through, and add the marshmallow on top towards the end. After that, they have to be cooled before the melted chocolate can be drizzled. But they are real treats. I think I will try it with the dark cocoa mix when I make it next time. The second recipe is a simple recipe with simple ingredients and pure flavor. Perfect accompaniment with a cup of coffee after dinner. I am talking about the Coffee Hazelnut Cookies from Alice Medrich's latest book "Pure Dessert", which I first saw it on Cenk's beautiful blog-Cafe Fernando. Cenk is a real artist. He can make any food looks good. Go to visit his blog if you haven't already! Taking a glance at the ingredients list, I know this is the kind of cookies I would enjoy. Freshly grounded coffee beans and grinded hazelnuts is a flavor combo for success. The cookies are a real treat: nutty with a hint of coffee. I don't think I like it on the first bite, but as I continue chewing the cookies and allow the flavor to fill my orifice, I suddenly understand the depth and sophistication of the cookies I have just eaten. Wow. I like it. When I served it to friends on another night, I dipped them in some chocolate gananche, leftover from a cake. I think I like the version with gananche better. Chocolate, coffee and hazelnut. My adulterated version of the "Pure Dessert". 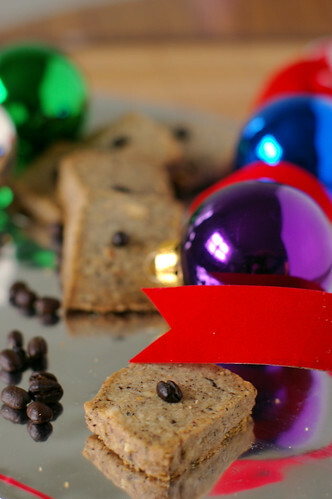 I am submitting these cookies recipes to Susan's Eat Christmas Cookies event. 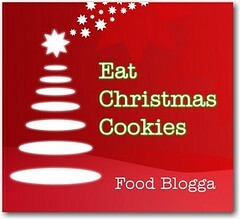 Remember to check out her blog for more Christmas cookies ideas! And better yet, join in the fun and submit a cookie recipe, she has decided to award the best cookie with Sherry Yards' latest cookbook:Desserts by the Yard: From Brooklyn to Beverly Hills: Recipes from the Sweetest Life Ever . She is such a generous girl. In a medium bowl, whisk together flour, cocoa mix, baking soda and salt. In a large mixing bowl, beat together butter and sugar until creamy. Add the eggs, one at a time, mixing until combined after each. Mix in milk and vanilla. Add the dry ingredients and mix just until combined. Using a teaspoon cookie scoop, drop the dough onto parchment lined baking sheets. Bake until the cookie are set, about 8 minutes. Remove and carefully place a marshmallow, cut side down, in the center of each cookie. Place back in the oven and continue baking until the marshmallow begins to look puffy, about 1 to 2 minutes. 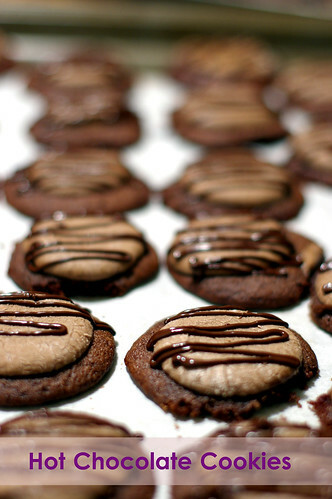 Remove and let cookies sit on the baking sheet for 1 minute before moving them to a wire rack to cool completely. Melt the chopped chocolate in microwave on high for 30 second. 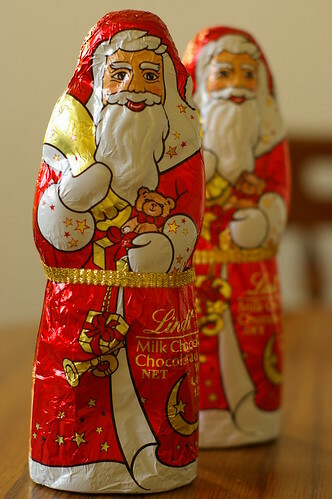 Pour the melted chocolate into a zipper bag, and cut a slit at one corner. Unleash the Picaso in you and pipe away! Combine the flour, hazelnuts, sugar and salt in the bowl of a food processor and pulse until the hazelnuts are finely ground. Add the ground coffee and pulse to mix. Add the butter and pulse until the mixture is crumbly. Drizzle in pure vanilla extract and pulse until the dough begins to clump up around the blade. Remove the dough and press it into a ball. Knead a few times to complete the mixing. At this point, you can either roll the dough into a 12×2 inch log or divide the dough in half and form into 2 flat patties. Wrap it and refrigerate at least two hours (or overnight). If you rolled the dough into a log, cut into 1/4 inch slices and place on ungreased sheets 1 inch apart. Press a coffee bean into the center of each cookie. 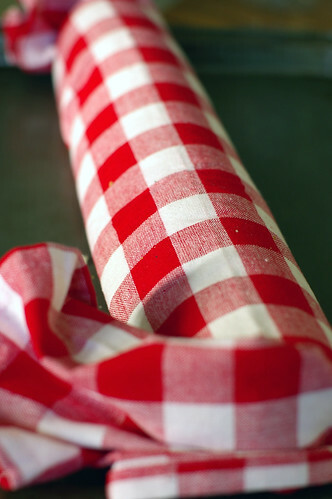 Or if you formed the flat patties, roll the dough between two pieces of wax paper to a thickness of 1/4 inch. 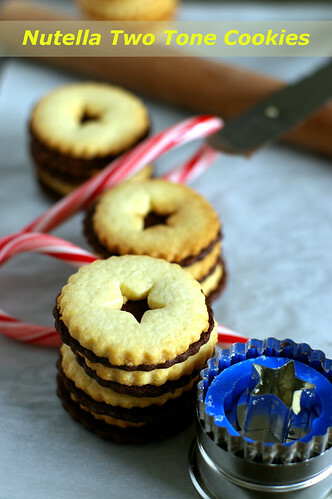 Using cookie cutters, cut out cookies and place on ungreased sheets 1 inch apart. Press a coffee bean into the center of each cookie. Bake until golden at the edges, 14-16 minutes. Let cookies firm up at room temperature before you transfer to a rack. Cookies can be stored in an airtight container for at least a month. Mix all the dry ingredients well in a large bowl. Grind the hazelnuts in batches, (depending how large your grinder is.Mine is a small one)add it to the flour, followed by grinding the coffee beans. Mix all the dry ingredients well with a spatula. Remove the dough and knead a few times to complete the mixing. Follow the recipe above to chill, shape and bake the cookies. I couldn't believe Christmas is only 2 weeks away, and I haven't even started baking a single cookies yet. Must be the old man winter that makes me feel really moody and lethargic. 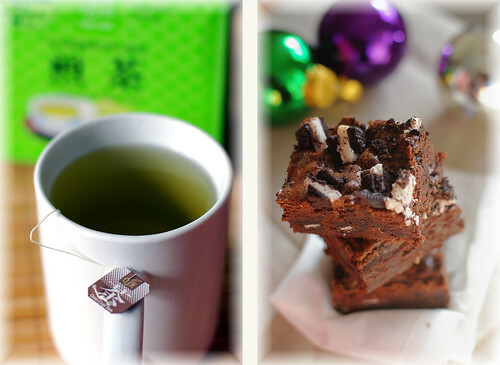 I have been craving for other kinds of comfort food, such as hot soup, noodle and dark chocolate instead of cookies. Having said that there are some recipes that are so good that beckon to be made immediately. 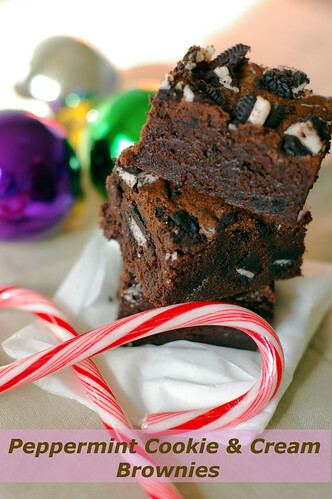 I am talking about the Peppermint Cookie and Cream Brownies on Nicole's Blog- Baking Bites, which is inspired by Trader Joe's Peppermint Jo Jo. If you are lucky to see this stuff in your local Trader Joe, grab one. Or better, 2 or 3 or 4 or forget it- make it a dozen. 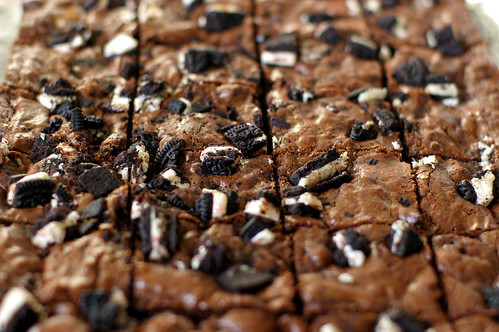 You can use some to make this fantastic brownies . I couldn't stop munching the cookies ever since I bought a pack of Trader Joe's Peppermint Jo Jo last week. Just when I almost finished half of the cookies on the first day, I saw Nicole's brownie recipe on her blog. 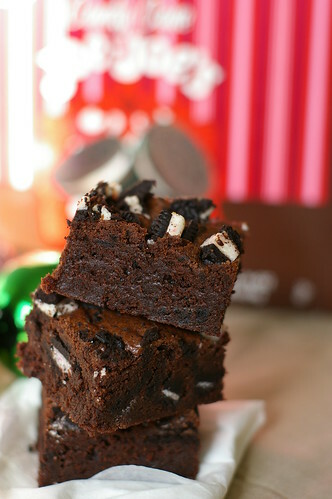 Without a second of hesitation, I got up from my seat and made the brownie. The brownie was just as Nicole described :"Fudgy. Rich. Intense. Chocolaty. Pepperminty. Amazing." Perfect dessert to be shared with others. I packed some for the staff from my apartment building and some for OCT's colleagues. Of course I saved a few pieces for myself too, it's perfect with my favorite Japanese Green tea! I think I better start going through the Christmas Cookies I have bookmarked to. Stay tune for cookies recipes ahead! I bought a huge bag of apples the week before thanksgiving for munching and baking. 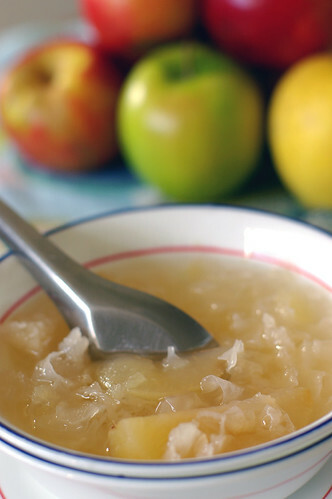 OCT and I love eating the honey crisp out of hand and Fuji in a Chinese dessert soup. 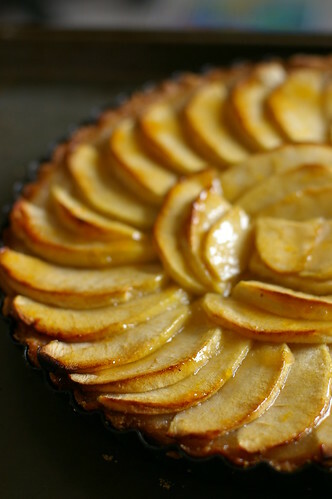 (See photo at the bottom of this post) While I used most of the apples in the Normandy Apple Tart, I found 3 Granny Smith sitting awkwardly in the fridge a few days ago. If they can think, they must be wondering when will be their turn to shine, like their cousins Jonathan, golden delicious and MacIntosh in the gorgeous Normandy Apple Tart. The thing I like about apples is, they have a long fridge life. There was once I bought some apples and totally forgot about them until a month later. They were tranformed into an apple pie and tasted just as delicious as those plucked from the tree one hour ago. I asked the Granny Smiths if they wanted to be apple pie in their afterlife, but they promptly declined. They wished to be something sophisticated. "How about cheesecake?" I suggested. "Sounds yummy" Granny Smith granted me their approvals. 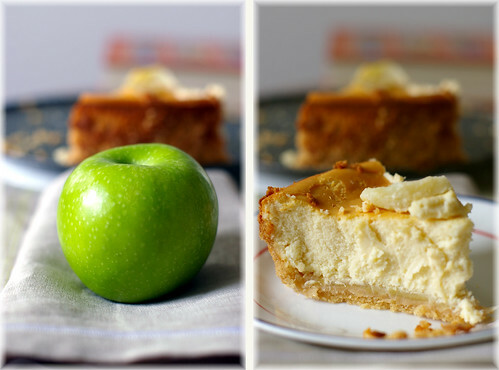 So apple cheesecake it is. I turned to the one apple cheesecake recipe I have bookmarked since last year and started to peel, core and slice the apples. They were then tossed with lemon juice to prevent discoloring. In the original recipe, cinnamon graham crackers are used for crust. But I opted for the vanilla wafers because I have some approaching expiring. Crushing them with my pestle in a mixer bowl until they become fine crumbs. I consider this as my dose of exercise for the day while watching Rachael Ray cooked on TV. Next, I sauted the apple while leaving the crust to bake in a 350F preheated oven. When the crust has turned a golden hue after about 10 minutes, I removed it from the oven and turned the temperature to 325F. 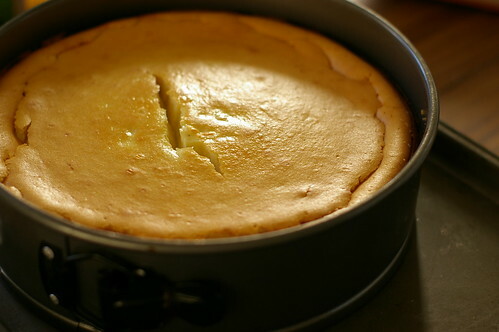 A higher temperature, as most experienced bakers would know will cause the cheesecake to crack, and lend it an unappealing look. When the apples are soft and slightly caramelized, I let it cool on a spot near the window before laying them on the crust. Moving on to the cream cheese filling, I creamed 2 blocks of 1/3 Less Fat Neufchâtel cream cheese and one block of original cream cheese instead of using 3 blocks of original cream cheese. This is to save myself and other eaters some calories, so that we can have a bigger serving. After creaming the cream cheese + sugar mixture, I hesistated for 30 seconds, debating with my unadventurous self if I should add the 1/4 tsp of ground ginger into the mix. As much as I love using fresh ginger in my savory dishes, I am not familiar with its ground version. I dumped it in nevertheless, hoping that Tish Boyle is right. At this point, the crust and cooked apples are cooled and ready to be used. I tasted one slice of the apples, find them addictively tasty and reached for second. Then I remembered I was supposed to line them on top of the crust..Opps. Luckily I have enough apples to cover the naked crust. Cream cheese filling was then poured in before I sent the cake into the 325F sauna oven. According to the recipe, the cake is to be baked in a hot water bath but my roasting pan was already packed after Thanksgiving, ready to be given away. So I improvised by adding a pan of hot water in the 9x9 inch square baking pan on the lower rack. Fast forward 40 minutes later, when I went back to check, the cheesecake cracked in the center, and all around its sides! I suspect my oven temperature is a bit off after working incessantly for the past years. I doubted the past tenants have it worked as hard as I do. Anyway, I make a mental note to get an oven thermometer soon. I did my best to cover up the crack in the center with the remaining cooked apple slices, and rendered it a rustic look (cracked sides and all). Appearance aside, the apple cheesecake was surprisingly delicious. I am not blowing my own trumpet, it is afterall, Tish Boyle's brilliant recipe. 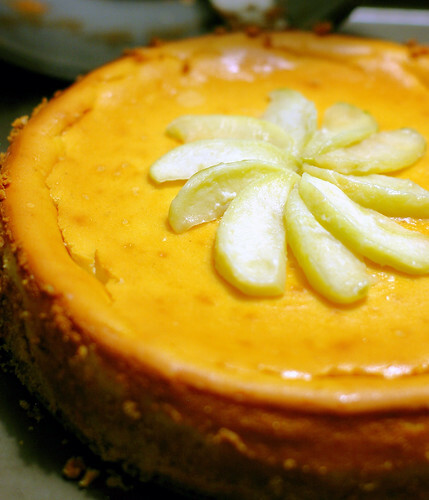 The cinnamon and ground ginger added a subtle but intriguing warm undertone to the cheesecake, while the cooked apple, slightly tart granny smith, cut through the creamy cheesecake and bear the reminiscent of an apple pie. 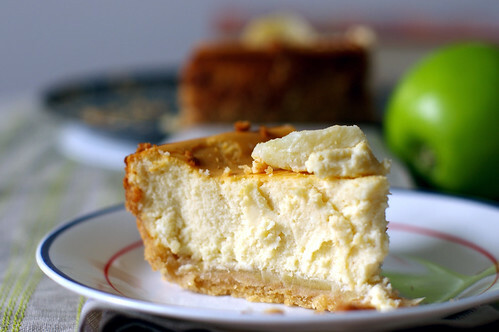 My mouth is salivating while recounting the flavor of the cheesecake. I know my descriptions simply doesn't do it justice. So I urge you to give this cheesecake a try, if I may be ever so pushy. The granny smith hiding somewhere in your fridge will thank you. Even better if you have that fancy schmancy butane/propane torch. 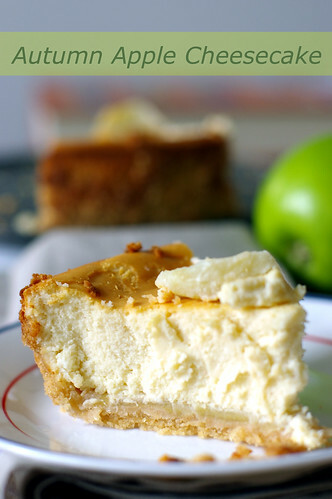 For the original recipe - Apple Cheesecake Brulee has a layer of caramelized sugar covering the top. I can only imagine how fantas-licious it would be. I have to add the torch in my Christmas wishlist. 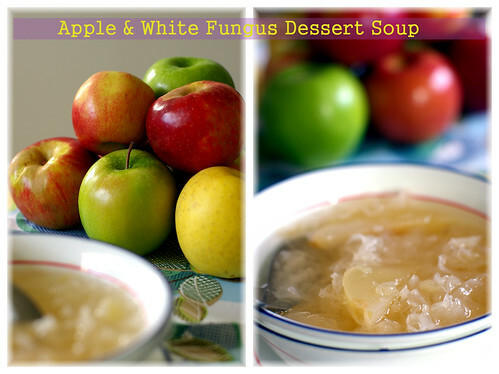 A refreshing and nourishing apple dessert soup I learned from my ex-housemate. Piggy also made a more elaborate version with recipe, here. 3 blocks of cream cheese (1 original and 2 1/3 Less Fat Neufchâtel ), softened. Position a rack in the center of the oven and preheat the oven to 350F. Grease a 9x3 inch springform pan and wrap the sides with heavy duty aluminium foil. Peel, core and slice the apples into 1/4-inch. Toss with lemon juice until all slices are evenly coated. Melt butter in a large skillet over medium heat. When the butter is bubbling, add the apple and saute for 2 minutes. Sprinkle the sugar over apple and continue to cook, stir frequently until the apple slices are nicely browned, about 5 minutes. Add in cream and cook until apples are tender,about 10 minutes. Remove from heat and set it aside to cool. 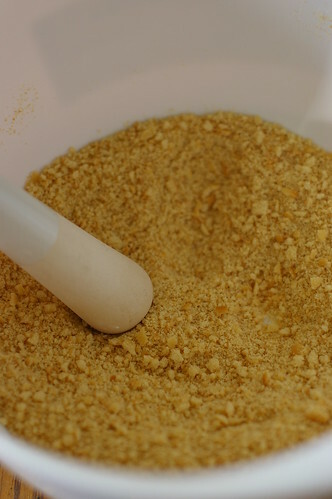 In a medium bowl, combine the crumbs, melted butter and granulated sugar. Pat the mixture evenly into the bottom of the prepared pan. (I like to use a 1/4 measuring cup for this task.) Bake for 8 minutes until the crust turns golden. Reduce the oven temperature to 325F after the crust is baked. Let the crust cool on wire rack while working on the cream cheese filling. In a bowl of an electric mixer, using the paddle attachment, beat the cream cheese at medium low speed until creamy and smooth, about 2 minutes. 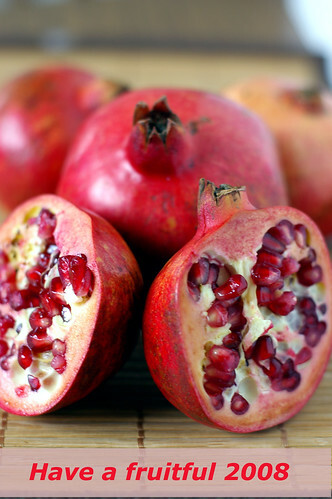 Gradually add granulated sugar and beat until blended. Add the vanilla extract, salt, cinnamon, ground ginger, sour cream and cornstarch and mix until well blended. At low speed, add in eggs, one at a time, mixing well after each addition and scraping down the sides of the bowl with a rubber spatula as needed. Scape the batter over the apple layer. Place the pan in a roasting pan or a large baking pan. Pour enough hot water into the roasting pan to come about 1 inch up the side of the springform pan. Bake the cake in the water bath for 70 to 80 minutes (Mine was not baked in a water bath and hence was done in about 45 minutes.) until the center is set but slightly wobbly (the cake will continue to set as it cools). Remove the pan from the water bath, if using, and set it on a wire rack to cool completely. This article is brought to you by OCT. It is his first attempt at writing a food related article, which I certainly hope won't be his last! It has been ages since I last made something for Mandy, or for that matter, cook in the kitcken. I consider myself very lucky to come home every evening to either new menu or tasty meals. The days where I have to reheat my 3 day old food seems a distant memory. Occupied with work, the time I have with Mandy is mostly spent on meals and grocery shopping. The latter is what I look forward to most every weekend. There were lots of pineapple in Soulard market that Saturday, and we decided we would like to make pineapple fried rice. 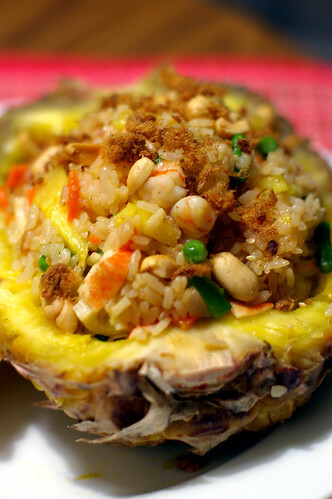 Before Mandy came to St. Louis, pineapple fried rice was my favorite dish for any Singaporean gathering. 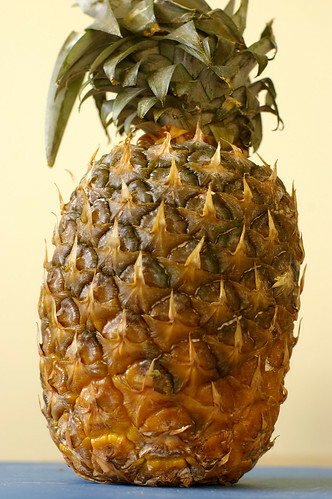 However, I used to cook with canned pineapple and ready-made seasoning packet (from Asian Gourmet). Here, we used fresh pineapple and Mandy prepared her own seasoning for the fried rice. Mandy is quite good in making sauces that often taste "multi-dimensional". 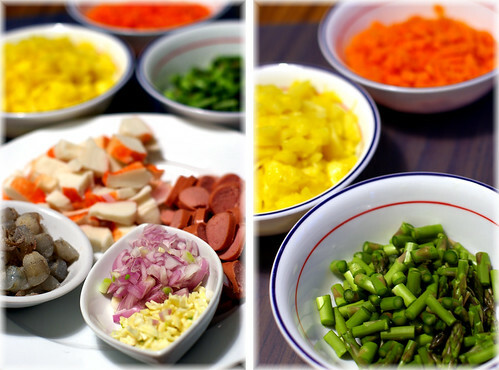 I am more obessed in food presentation, as you can see from all the finely minced vegetable and meat ingredients. A big wok on direct fire stove would be ideal for frying rice. Unfortunately we only have a medium size non-stick pan on electric stove. As a result, I have to fry the various ingredients separately to saute the meat and caramelise the vegetables. Shrimps, sliced sausages and imitate crab meat were pan-fried in oil with garlic and shallot. They were set aside as I continued frying the carrot and asparagus. Frying in batches imparts more flavour to the food and prevent them from being overcooked. The cooked vegetables were removed from the heat as I proceeded with the rice. The key to flavorful rice lies in controlling the temperature of the ingredients in the pan. I learnt from a cook show that 3 cycles of "cold & hot" treatment is critical. Briefly, the first cycle is to add cold rice (refrigerated cooked rice) to a hot pan of garlic and oil and fried until the rice became hot. The next cycle is to add the sauce onto the rice. The mixture was cooked until the sauce became evenly distributed and dried. The smell of evaporated sauces and wine indicates that the pan has reached the desired heat. 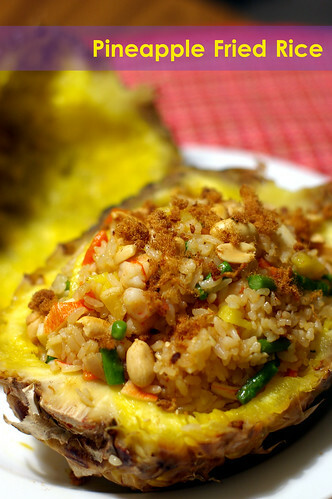 The third cycle ends with the adding of minced pineapple onto the rice. The rice was fried again until it became dried. It is important that the steamed rice is cold. Although considered as "cold step", the sauces and pineapple can be at room temperature. Finally, the vegetables and meats were added onto the rice and fried for several minutes. I admit that the frying process was quite a strenous exercise and two spatulas were used all the time to ensure complete mixing of all the ingredients. The point when the rice looked dried and some of them beginning to get charred indicates that the dish is done. This usually takes about 5-8 minutes. Last but not least, we put peanuts (Planter's party peanuts) and pork floss onto the fried rice. I thought it really tasted good...hmm I am feeling hungry again as I typed. Mandy really has the sauces blending well with the pineapple. If you have time, we would suggest you replacing sausages with chicken. The reason being sausages tend to dominate other ingredients with their strong taste. 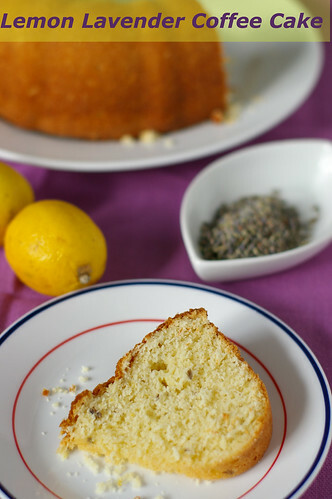 Edit: Upon finishing his debut entry, OCT is now munching on the lemon lavender cake Mandy made last Friday. Heat 2 tablespoons of oil in a wok (or a large frying pan) until it is just about to smoke. Add carrot, stirfry for about 1 minutes, until it slightly caramelised. Add garlic and shallot and stirfry for 30 seconds.Remove from pan. In the same frying pan, add 1 tbsp oil, add sausages and shrimps and stirfry for 1-1.5 minutes, until the prawns turn pink and edges of the sausages brown, remove the ingredients from pan, then decrease heat to medium high. Add the cold rice to the pan,breaking it up with the wooden spoon.Add sambal oelek, soy sauce,pineapple juice and fish sauce on the rice and then using a shoveling motion to combine the sauce and rice, making sure that all the rice has broken into individual grains and covered with sauce. Toss the carrot, garlic, shallot, shrimp, sausages and imitation crabs back to the pan, and stirfry for another minute.Toss stirring from the bottom up so that all the rice has a chance to fry in the oil and everything is integrated. Sprinkle black pepper on the rice and add peanut, green onion and the reserved pineapple chunks. Toss-stir for 1- 2 minutes, folding the new ingredients into the rice .Taste, if it's not salty enough, add some salt. Think the rice tasted a bit bland, try adding one/two tablespoons of rice vinegar and one tablespoon of sugar. Continue to stirfry and taste until satisfy. Remove fom heat. Transfer to a serving dish (in this case, it's the hollowed pineapple halve) and top with red pepper strips. Garnish with more peanuts,pork floss and sesame seed. Serve immediately. Note: This is a guestimated recipe. 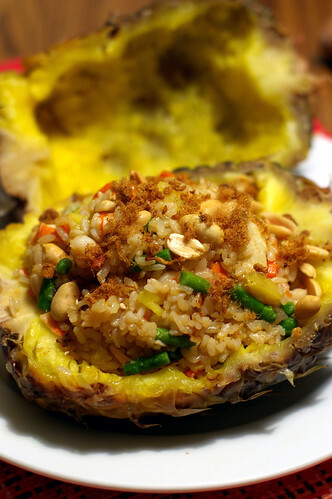 We used fresh pineapple for this dish, but the canned one works in a pinch.You can easily swap with other meat and veggies you have on hand.Use the ingredient list as a guideline and season the fried rice to suit your taste. 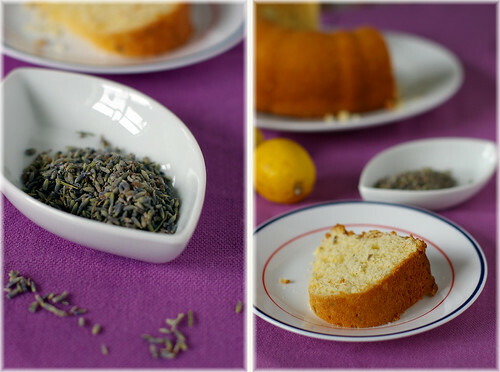 Remember the lemon lavender cake I blogged about two weeks ago? That was my attempt of recreating the one we have at Macrina Bakery & Cafe in Seattle last September. Apparently, the recipe can be found in the one of the Macrina cookbooks. Unfortunately, I have no luck locating it in Barnes & Noble or Borders. Being a smart consumer (ahem), I am not going to make a purchase through Amazon without having a glimpse of the layout and contents of the cookbook. So, I sent out an "SOS" asking for help on the Cookinglight Bulletin Board. Within an hour, I got the recipe from two members, Felice and Dorothy. Their response meant a world to me, and I could not describe how grateful I felt towards their effort in providing me the recipe. For that, I decided to bake the cake the next day, even though I have just finished making another dessert. I think I could always give some to our friends. The taste of the cake reminded me of the one I have in Seattle, simply delicious! I omitted the glaze to cut down on the overall sweetness of the cake. Apart from that, its texture was as fine as the one we ate at Macrina. According to the owner Leslie Mackie, the lemon lavender coffee cake is an adaptation of their popular Lemon sour cherries coffee cake. The dried tart cherries is swapped with one tablespoon of dried lavender. 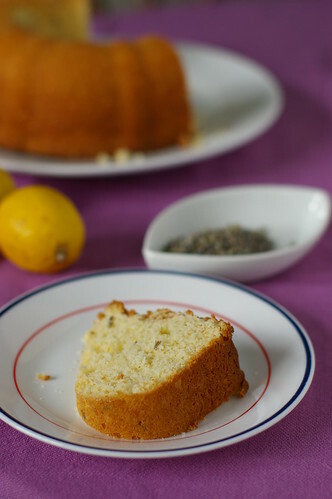 I am going to give the famed recipe a try one day, but meanwhile, the lemon lavender coffee cake taste heavenly with a cup of honey lemon tea! 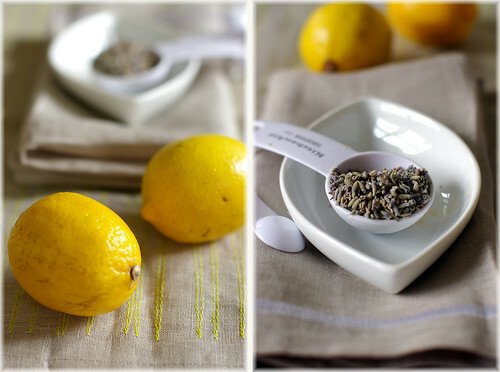 If lemon + lavender is your cup of tea, do give this recipe a try. The smell of lavender while the cake is baking in the oven is the best aromatherapy I could ask for! Of course if you stay in Seattle, you can always get your fix at Macrina Bakery & Cafe. adapted from Macrina Bakery and Cafe Cookbook via Felice. Sift flour, baking powder, baking soda,and salt into a large bowl. Add in the dried lavender. Toss with your hands and set aside. Combine butter, sugar, and lemon zest in the bowl of a stand mixer. Using the paddle attachment, mix on medium speed for 5 to 8 minutes. The mixture will become smooth and pale in color. Add eggs, one at a time, making sure each egg is fully mixed into the butter before adding another. After the last egg is incorporated, slowly add the lemon juice and mix for 1 more minute. Scrape down the sides of the bowl and mix for 30 seconds to make sure all of the ingredients are fully incorporated. Remove the bowl from the mixer. Alternately add small amounts of the flour mixture and the yogurt to the batter, mixing with a wooden spoon just until all dry ingredients are incorporated into the batter. (If making the sour cherries cake: Set aside 10 to 12 cherries for garnish and gently fold the remainder into the batter, taking care not to overmix.) Pour batter into prepared bundt pan, filling two thirds of the pan. Bake on center rack of oven for 1 hour and 10 minutes, or until the top is golden brown. Check the center of the coffee cake with a skewer. It will come out clean when the cake is finished. Let cool in the pan on a wire rack for at least 20 minutes. Loosen the sides of the cake with a sharp knife. Place serving plate, upside down, on the top of the cooled bundt pan and invert the pan to remove the cake. Let cake cool completely. Sift powdered sugar into a medium bowl, then add lemon zest and lemon juice. Mix with a spoon until smooth. Drizzle glaze over the cooled coffee cake and top with reserved dried lavender (or plumped cherries). Note: I used a 10-cups bundt pan, there's some leftover batter that was enough to make 3 cupcakes. 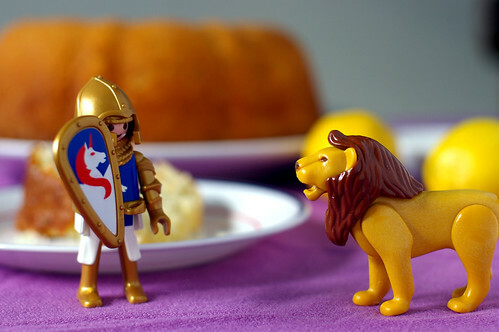 The cake is so good...even lion wants a slice. Disclosure: Ok, these playmobils are OCT's. They are lying around, so I decided to borrow them as props. Sometime I wonder if OCT is my husband or my son?! OCT: "You missed the sword!"